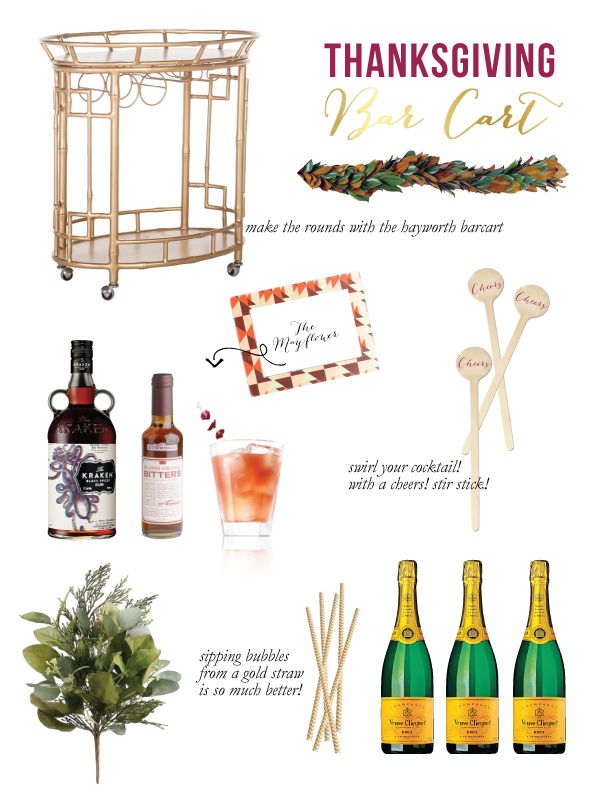 Be the hostess with the mostess this Thanksgiving with a stylish and stocked barcart. I love that you can circle round the table with this glammy gold barcart from my faves over at Society Social. Stir your Mayflower cocktails with customized wooden stir sticks [available in gold too!] - and don't forget to let your guests know what you're serving with this native american inspired frame.